Check out the Google home page today. 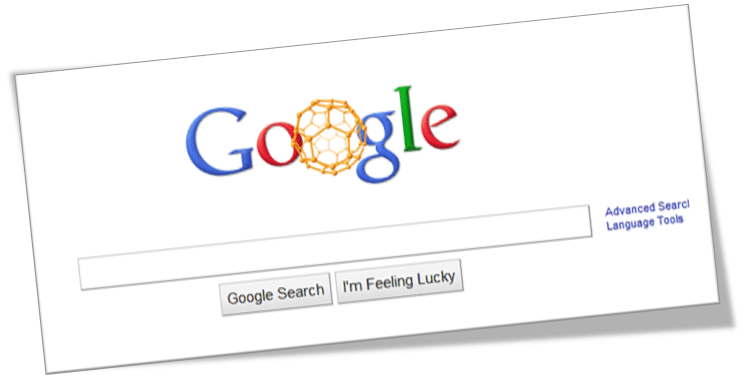 The Doodle celebrates the 25th Anniversary of the BuckyBall. Buckyball is a spherical fullerene, a molecule composed entirely of carbon, in the form of a hollow sphere, ellipsoid, or tube. The invention of buckyball was made in 1985 and was named after buckminsterfullerene. The rare phenomenon was named after Richard Buckminster Fuller. The discovery of buckyball helped lot to understand the chemistry and technological applications in material sciences, electronics and nanotechnologies. Fullerenes greatly contributed to understand the number of carbon allotropes, which were just limited to graphite and diamonds. Posted in General, Google and tagged doodle, Google. Bookmark the permalink.